Children learn more from observing parents behavior than from being told how to behave. We have probably heard our child say “it’s not my fault,” when it clearly was, or “it’s because the teacher hates me,” when they come home with a bad grade. We may even scold them for not taking responsibility. However, if we come home and say that it’s everyone else’s fault for the mistake we made at work, or blame everyone in the house if we misplace the keys; what message are we actually sending to our child? There are a few constructive steps that you go through with your child that can help strengthen their resiliency and ability to recognize their own responsibility for their choices and actions. First listen to your child’s story. How they tell the story of what happened can give you insight as to how they deal with disappointment. Next work together and figure out who actually is responsible for what occurred. Is the child at fault or was the situation completely out of their control? Finally talk about how long the problem will last and if it is just a bump in the road or a serious issue. As adults, this is also a valuable learning process for us to go through with ourselves. .
By modeling effective problem solving in front of your child and guiding them through the process when they face failure, you can help teach your child to become better at coping with disappointment, be better able to skillfully manage other challenges they face in life, and take responsibility for their own choices. 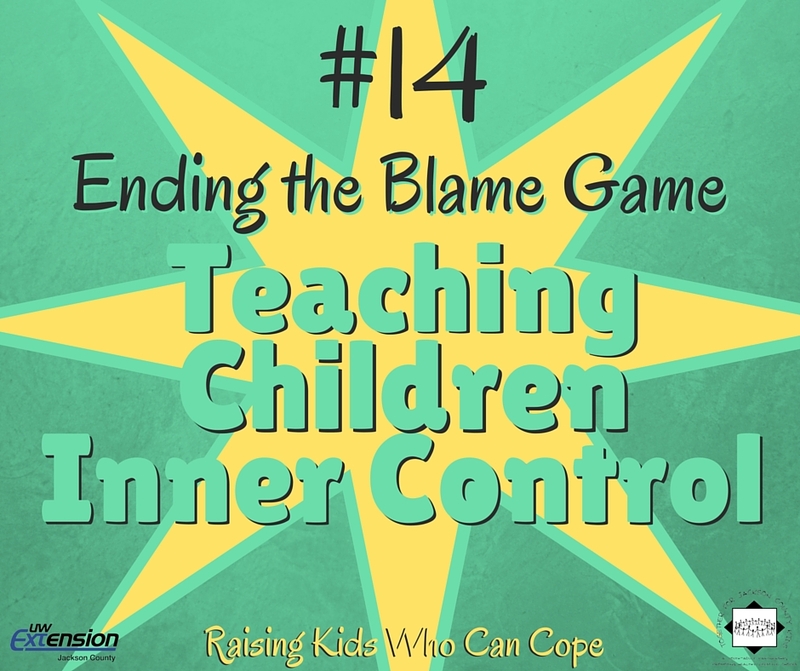 This entry was posted in Raising Kids Who Can Cope and tagged coping skills, self-control, self-management, youth. Bookmark the permalink.